27 July 2010, at 9:00a.m. NETHERLANDS - Prinzen has re-launched its web site, www.prinzen.com. The new web site has a fresh design and a lay-out that makes it easier to use. 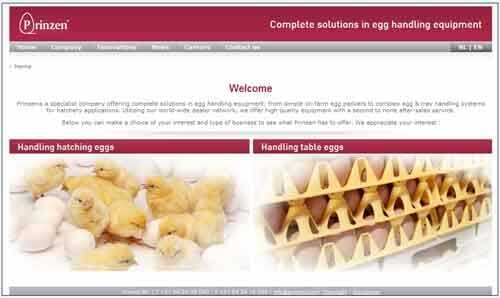 It is a platform where poultry companies can find everything about the complete solutions Prinzen has to offer for egg handling equipment. - You can view the new web site by clicking here.